It is the combined analysis of individual studies done by Denmark, Finland, Iceland, Norway, and Sweden over a span of 10 years (1996 – 2007). The study involved total of more than 1.6 million babies (twins and triplets were not included in the study), of which almost 30 thousand of mothers were on prescribed SSRIs therapy during the pregnancy. Though the rate of stillbirths in the study was noted to be a shade higher in mothers on SSRIs therapy than those not, yet it was not significant enough to be associated with use of SSRIs during pregnancy. “No significant association was found between use of SSRIs during pregnancy and risk of stillbirth, neonatal mortality, or post neonatal mortality. However, decisions about use of SSRIs during pregnancy must take into account other perinatal outcomes and the risks associated with maternal mental illness,” the study concluded. There are many controversies that surround the underlying cause for the health hazards in babies born to the mothers with disturbed emotional state. 5. Mother's lifestyle - stress, alcohol consumption, smoking and so on. Treatment of depression in a pregnant woman demands drug therapy, which is easily passed on to her baby in the womb. Risks and benefit of the therapy therefore need to be weighed very closely: The effect of maternal depression on the baby in the womb is noticeable during infancy and childhood as emotional and behavioral instability. Depression during and after pregnancy is common; almost every fifth pregnant women suffers from depression. Stress and depression during pregnancy increase stress hormone levels in the mother and thereby disturb fetal hormones. Consequently, fetal development is jeopardized and the risk of premature birth rises along with associated several health risks of the newborn. Selective serotonin reuptake inhibitors (fluoxetine, paroxetine, sertraline, citalopram, fluvoxamine) are commonly used to treat maternal depression during pregnancy and also later during the lactation phase (postpartum depression). Though SSRIs taken by the mother cross placenta freely and are also secreted in mother’s milk, they have proved to be the safest. 2. Neonatal behavioral syndrome is characterized by central nervous system (irritability, excess or restless sleep), motor (agitation, tremor, hyperreflexia, rigidity, hypotonia or hypertonia), respiratory (nasal congestion, respiratory distress, tachypnea), gastrointestinal (diarrhea, emesis, poor feeding) and systemic (hypothermia or hyperthermia, hypoglycemia) manifestations. 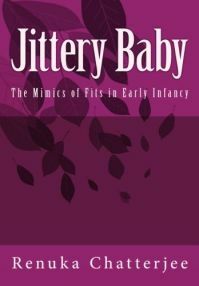 Most infants have only mild symptoms that resolve within 2 weeks. Severe syndrome characterized by seizures, dehydration, weight loss, hyperpyrexia, and respiratory failure is seen only in 1% of the cases. No deaths have been reported. Treatment is directed at the individual manifestations and accompanied by supportive therapies. 3. Long term neuro-developmental outcomes. 4. Small increased risk of congenital anomalies. 6. Persistent pulmonary hypertension of the newborn. 7. Jitteriness and heightened startle response. Selective Serotonin Reuptake Inhibitors During Pregnancy and Risk of Stillbirth and Infant Mortality:Olof Stephansson, MD, PhD; Helle Kieler, MD, PhD; Bengt Haglund, PhD; Miia Artama, PhD; Anders Engeland, PhD; Kari Furu, PhD; Mika Gissler, PhD; Mette Nørgaard, MD, PhD; Rikke Beck Nielsen, MSc; Helga Zoega, PhD; Unnur Valdimarsdóttir, PhD - JAMA. 2013;309(1):48-54. doi:10.1001/jama.2012.153812.